The Top 5 Self-Storage Facilities in the U.S.
At some point, just about everyone finds themselves in need of self-storage. Whether it’s because of moving, downsizing or for any other imaginable reason, having easy access to safe, secure storage facilities is incredibly convenient. Because of this, self-storage is widely available across the country. In the U.S. alone, more than 2.63 billion square feet of rentable space is available across more than 54,000 storage facilities. As ubiquitous as they are, chances are that you can take your pick from several self-storage facilities in your area. The question, of course, is how to determine which one suits your needs the best. 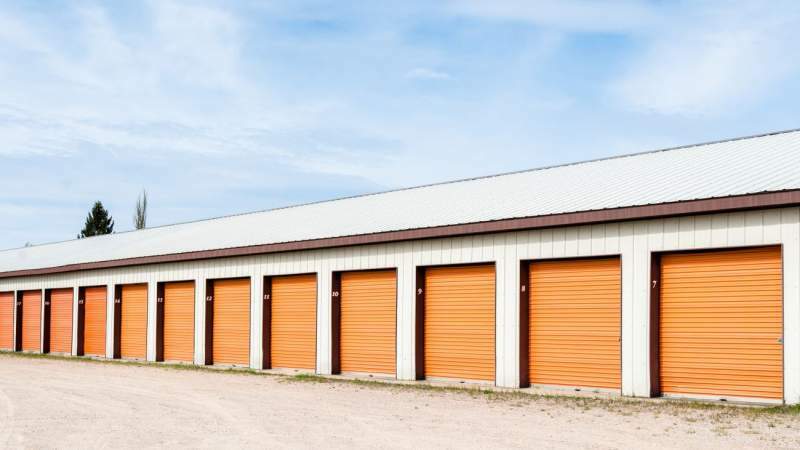 Because they typically have the best facilities, prices, and features, the country’s top storage facility companies are a great place to start your search. Even if none of the following facilities is available in your area, use the information below to gain a clear understanding of what constitutes high-quality self-storage. Headquartered in Glendale, California, Public Storage® is the largest self-storage company in the United States. With more than 142 million square feet of rentable space across the country, it’s also one of the largest landlords in the world. In 2016, Public Storage® reported more than $2.56 billion in revenue. Since opening for business in 1977, Extra Space Storage® has risen to become one of the most well-known self-storage facility companies in the country. With nearly 400 facilities across 38 states and more than 103 million square feet of rentable space across more than 9 million units, Extra Space Storage® also happens to be the second largest storage facility in the U.S. In 2016, Extra Space Storage® reported $991.87 million in revenue. A subsidiary of U-Haul International®, a company that is better known for moving truck rentals, U-Haul Moving and Storage® has nearly 1,500 locations across the United States. Its parent company was founded in 1945, so U-Haul® has a solid reputation in general as well as a long track record. Currently, the company has more than 261,000 self-storage units offering more than 49 million square feet of rentable space. In 2016, U-Haul Moving and Storage® reported more than $247 million in revenue. From its headquarters in Malvern, Pennsylvania, CubeSmart® operates a chain of self-storage facilities across the country. Self-administered and self-managed, the more than 800 facilities that the company operates offer a combined total of more than 49 million square feet of rentable storage space. Founded in 2004, CubeSmart® also offers SuperStores that include a wide array of business, moving and storage services. In 2016, CubeSmart® reported more than $510 million in revenue. Rounding out our list is Life Storage®. Founded in 1982 and based in Buffalo, New York, the company currently operates more than 650 self-storage facilities across 29 states. All told, Life Storage® offers more than 45.5 million square feet of rentable space across nearly 60,000 self-storage units. In 2016, Life Storage, Inc.®, reported more than $462 million in revenue. As you can see, the country’s top self-storage facilities are fairly evenly matched in terms of offerings. The best part of all is that no matter where you are or where you’re going, it’s sure to be easy to find safe, clean, secure self-storage in the area.